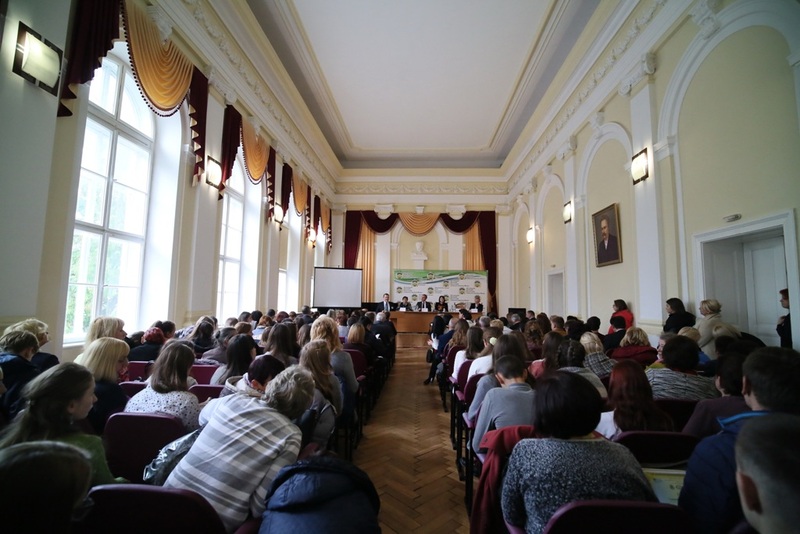 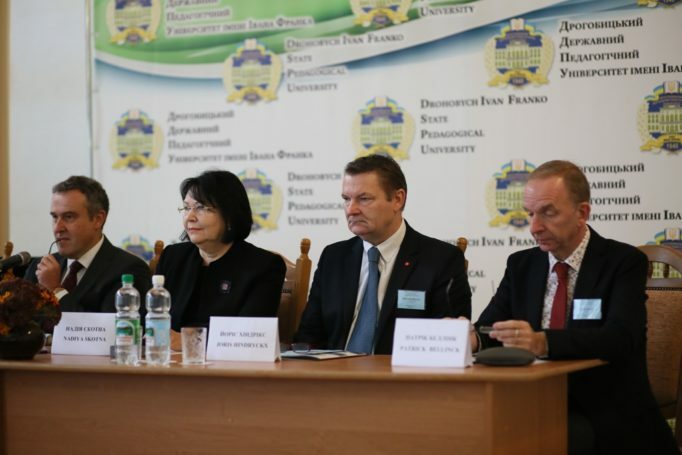 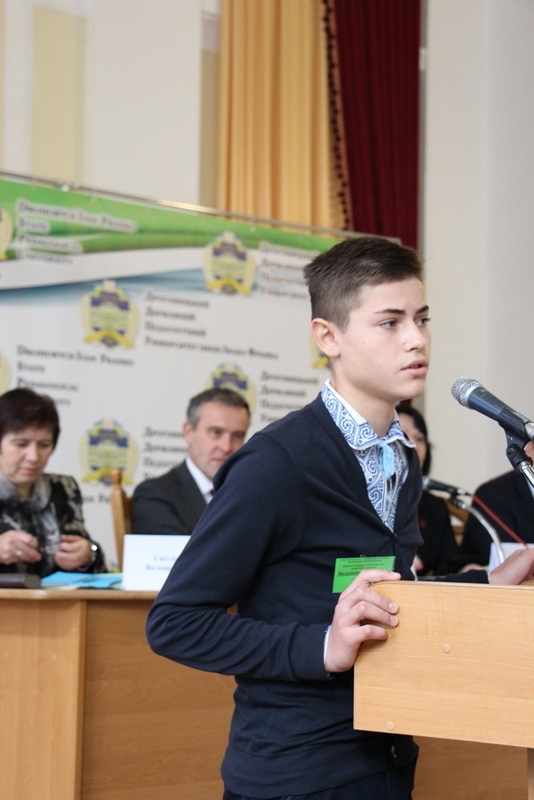 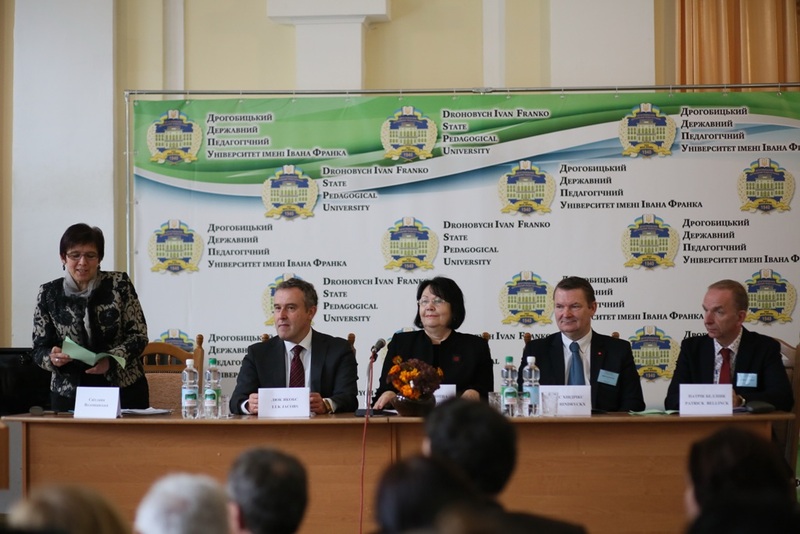 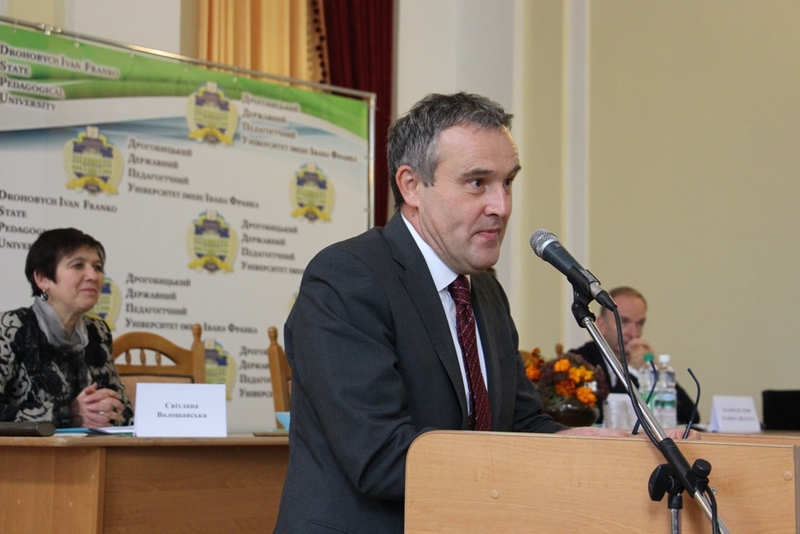 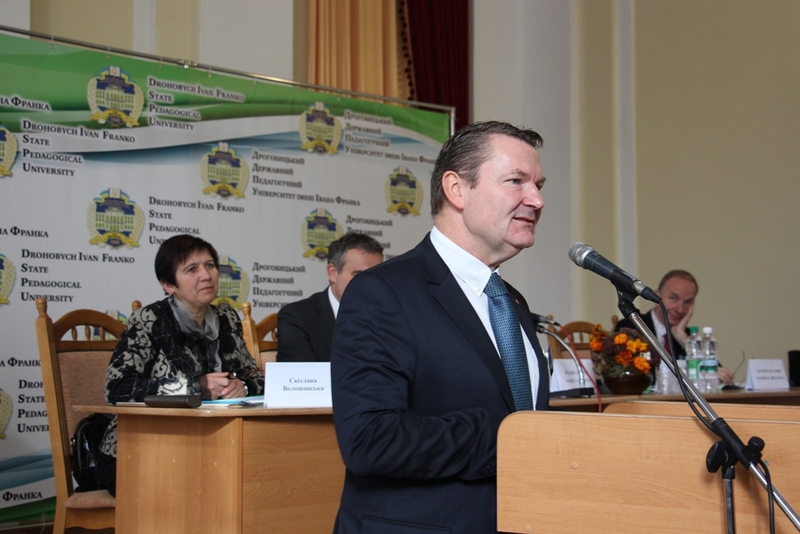 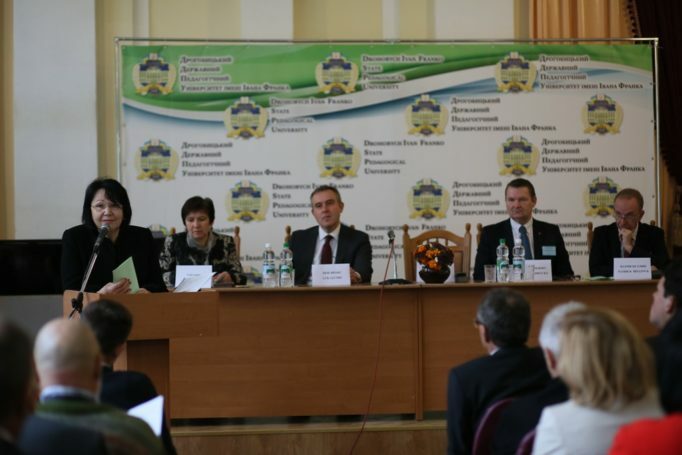 On October 30, 2017, the Department of Biology and Natural Sciences hosted the 10th National School Student Scientific and Practical Conference “ECOLOGICAL AND VALEOLOGICAL CULTURE – THE CHOICE OF THE 21st CENTURY” within the framework of the WHO project “NCD (Non-contageous Diseases): Prevention and Health Promotion in Ukraine” dedicated to the the 5th anniversary of Ukrainian-Belgian cooperation. 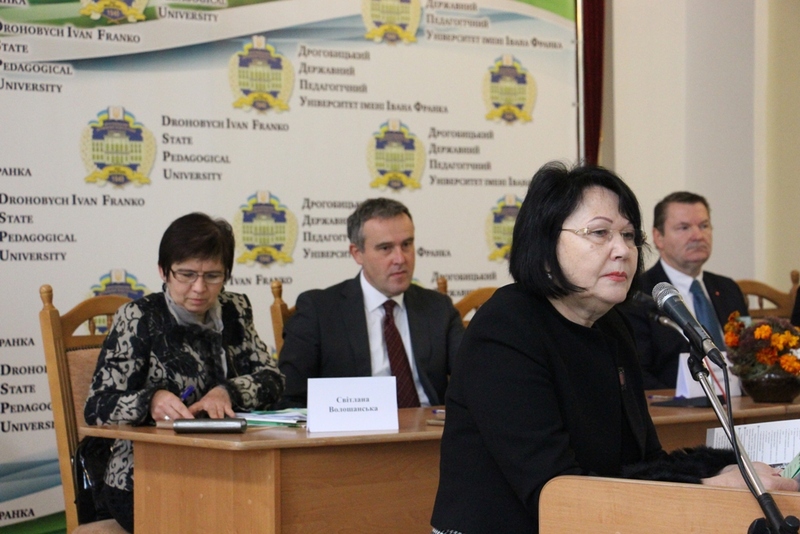 The rector of the university, Professor Nadiya Skotna, opened the conference and the moderator was Svitlana Voloshanska. 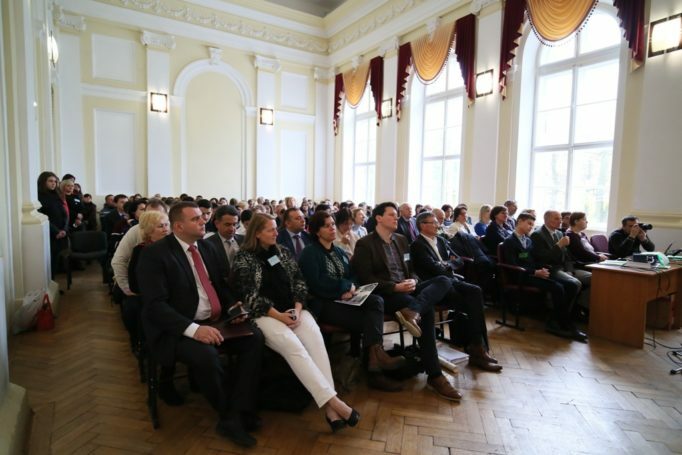 This year’s conference was held under the patronage of the Ambassador Extraordinary and Plenipotentiary of the Kingdom of Belgium to Ukraine, Luc Jacobs, with the participation of Joris Hindricks, the director of the VIVES University College, Belgium, and the president of the non-governmental organization VZW “ORADEA” Patrick Bellinck. 75 high school students participated in the conference who came from Lviv, Transcarpathian, Ivano-Frankivsk, Volyn, Ternopil, Vinnitsa and Kharkiv Regions. 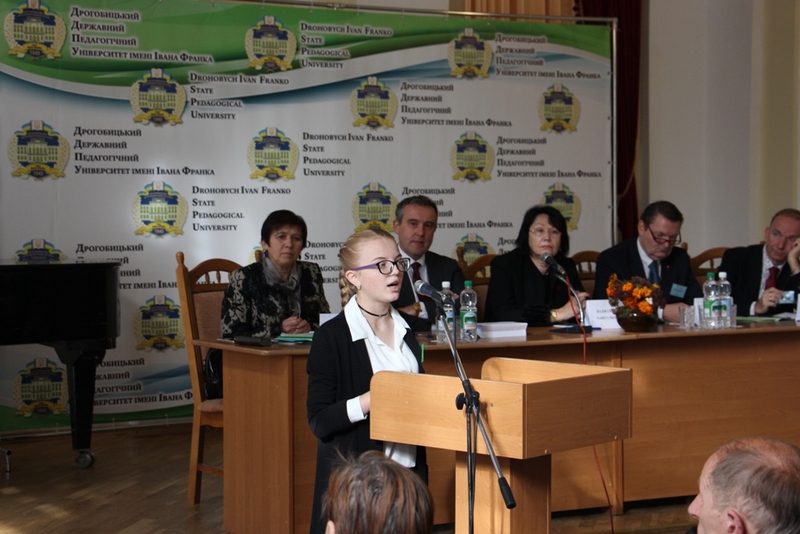 The students presented reports on their scientific research, participated in workshops conducted by scientists from the Kingdom of Belgium. 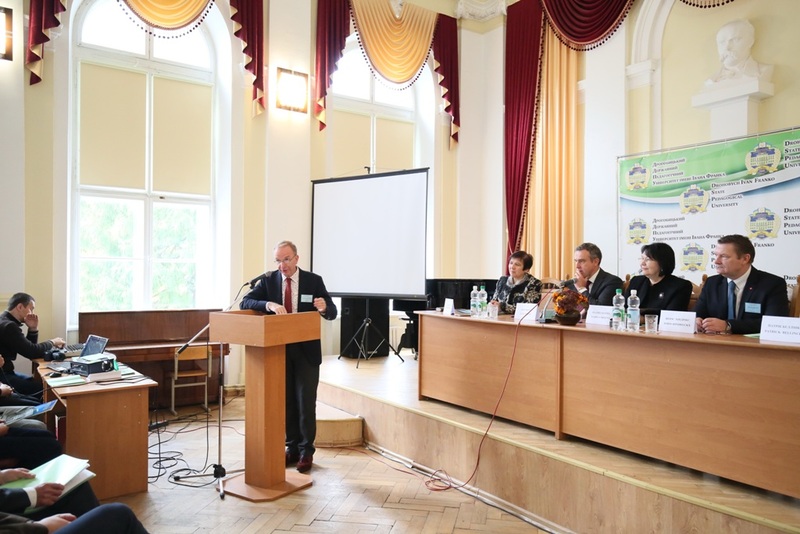 The conference panel (left to right): the Ambassador Extraordinary and Plenipotentiary of the Kingdom of Belgium to Ukraine, Luc Jacobs, rector of the university, Prof. Nadia Skotna, director of the VIVES University College Joris Hindricks, president of the non-governmental organization VZW “ORADEA” Patrick Bellinck.